Mother Earf has a pixie haircut, faux lashes for days and glitter shimmers on her cheekbones. Her velvet gown matches the curtains between the bar and the stage. She sits at the foot of that stage, the vibrant queen of the “Slow Your Roll: Slow & Sensual Show.” The Uptown Arts Bar is dimly lit, but she is glowing. It’s Saturday night and Brown Sugar Cabaret, a Kansas City-based burlesque company, is set to orbit around Mother Earf. Performers – some in sequined gowns and feather boas, others in silk robes – saunter through the audience. Ten VIP attendees are feet from the stage in the first row, another two dozen people sit a few rows back. Stage lights flood chairs decorated with neon green, purple and blue goody bags filled with glitter masks, candy and Mardi Gras beads. 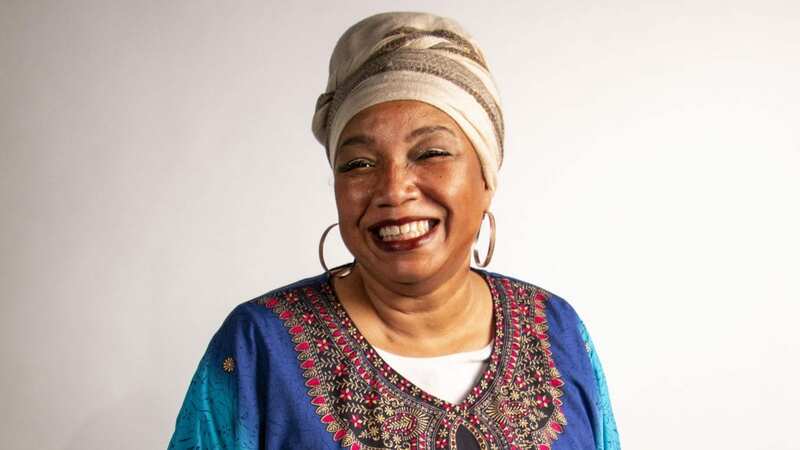 Mother Earf is Pamela Denson, a 53-year-old woman with 13 grandchildren. She’s worked at the Internal Revenue Service in Kansas City, Missouri, for 15 years off and on, and she’s seven months removed from a bone-marrow transplant on the heels of chemo treatments. Denson said producing, and performing in, shows that specifically elevate performers of color keep her going. “Yeah I’m battling cancer, but I can do everything. I’m a strong, black woman,” she said with a chuckle. Her foray into the burlesque world began six years ago, which is when she witnessed just a “sprinkling” of people of color in the audience and on stage. So she dipped into her retirement savings account and started her own burlesque troupe. 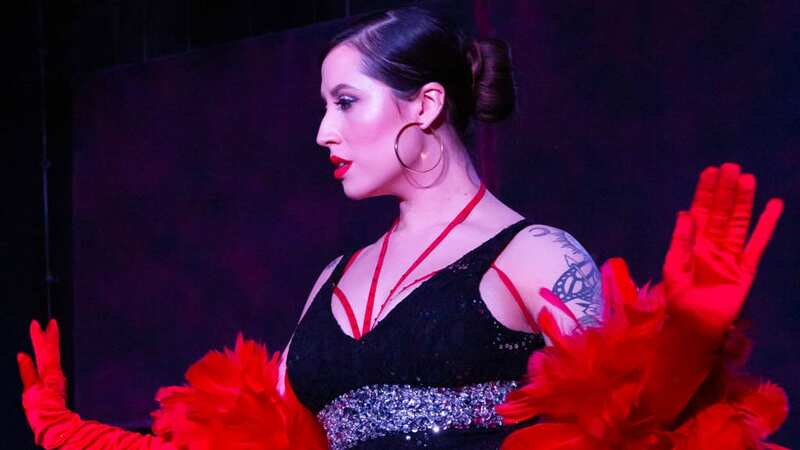 Brown Sugar Cabaret is part of what is known as the neo-burlesque movement, a performance style forged by a desire to help women reclaim their sexuality and fight back against objectification. The performances — modern-day burlesque icon Dita Von Teese calls it a “bawdy form of theatrical satire” — can be a striptease, but don’t always involve disrobing. In neo-burlesque, women produce the shows, star in them and are dedicated to shining a spotlight on performers of all sizes and colors. Historically, equal representation in burlesque troupes was rare when burlesque became popular in the mid-19th century. Burlesque was part of vaudeville shows where it was known for comedic acts, song and dance. Performers of color, even noted artists like Josephine Baker of St. Louis, Missouri, were often segregated from the white performers. It reflected the times, a PBS report found. Denson knows that reality all too well. Denson’s journey reflects that of Jean Idelle, a trailblazer for black women in burlesque. Idelle was the first African American woman to share a stage with her white counterparts, according to PBS Newshour. Nearly 70 years later — but still facing many of the same issues — Denson looked to turn her desire for representation into a business. Brown Sugar Cabaret is an LLC. Denson budgets between $500 to $700 each month – $35 for each performer plus show supplies – but sometimes that isn’t enough to cover expenses. That’s when she uses her personal savings, which also happens to help fund cancer treatment. This venture has cost Denson nearly $4,000, but she still dreams of opening a dinner theater burlesque experience. 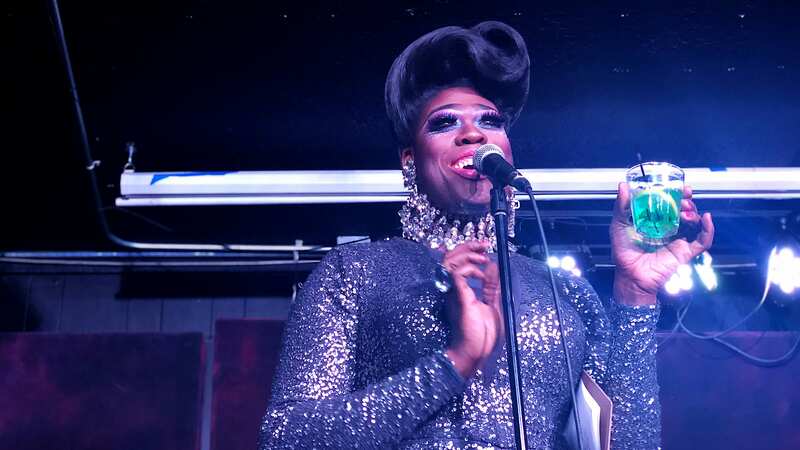 On a recent Saturday in Midtown, host Moltyn Decadence, one of Kansas City’s veteran drag queens, introduces the performers. Decadence gives a tilt of the head, bouffant perfectly intact, and exclaims, “Whoo-ee,” using a clipboard as a fan. There will be an intermission, Decadence assures the crowd. Audience members utter whoops and some exclaim, “You go girl.” Performers draw from that energy, be it with a smile, the sway of a hip or toss of a glove. “Not [being] a size 1, blonde-haired or blue-eyed, doesn’t mean that I’m not perfect or that I’m not OK with my body,” Denson said, though she never does the “peel and reveal” part of the act. She sees Mother Earf as a fighter. “With everything she’s been through, you’ve got to be a fighter,” Kalliope said. Denson’s schedule has slowed down over the course of the past year. Bi-weekly shows are now once a month. Her doctors have increased her cancer treatment dosage. She doesn’t yet have an immune system, which means more time at home and, if she does go out, she’s supposed to wear a mask.